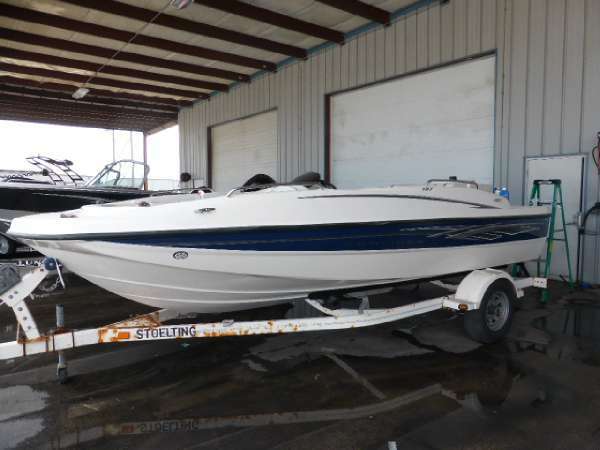 2008 Bayliner 197 Deck Boat The 197 deck boat is a design with focus on more usable interior space and an open floor plan. Family, friends and fun are spoken on this boat with lounges that wraparound the cockpit and convert to a huge sun lounge. - 190 HP! 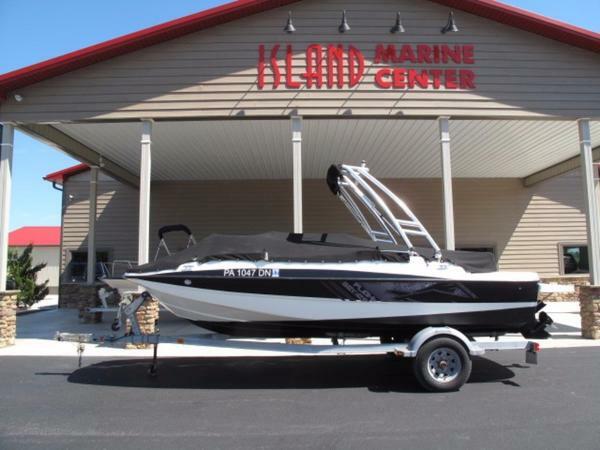 2012 Bayliner 197 Deck Boat When your crew's big and its ambitions even bigger, the 197 comes to the rescue.Who needs shore when tons of storage, a fluid layout and room for 10pas sengers combine to make a full-on floating island paradise? Optional filler cushions create a bow sun lounge, and the optional Flight Series Package provides everything adrenaline junkies crave. 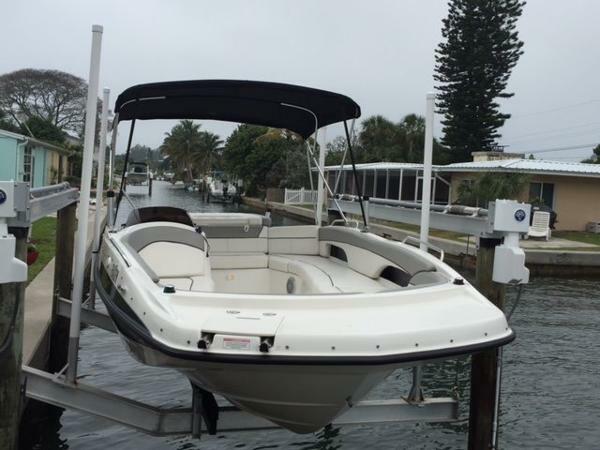 Key Features: The Deck Boat's unique layout allows the whole family to come onboard without sacrificing any power for watersports. Storage areas like the deep in-deck ski locker keep the cockpit free of clutter. The optional swim platform extension increases onboard space while offering a staging area for snorkeling and watersports. The bow converts from a seating area to a queen-size lounge when the optional filler cushions are in place. The durable snap-in carpet option makes the 197 easy to clean after long days on the water. 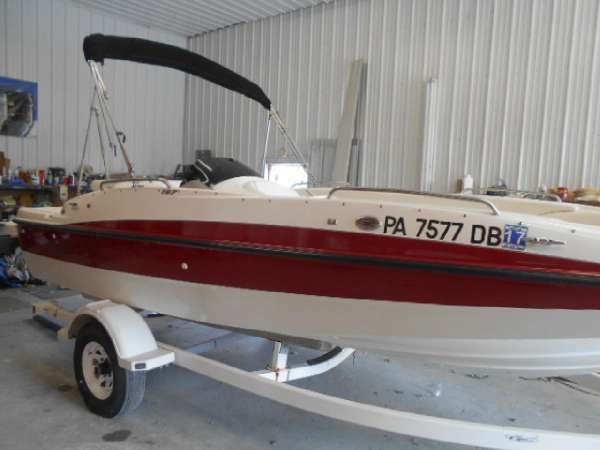 2012 Bayliner 197 Deck Boat REDUCED PRICE 2012 Bayliner 197 Deck Boat Very nice all around boat with custom arch for water sports. Plenty of power from the Merc 4.3 motor and Alpha One drive. 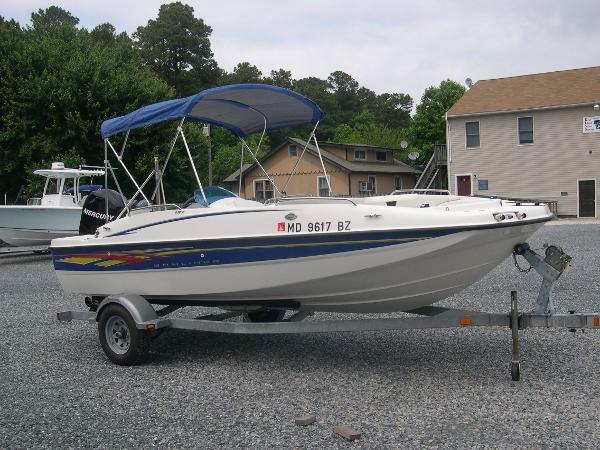 The boat is in great condition and comes with single axle trailer. When your crew's big and its ambitions even bigger, the 197 comes to the rescue.Who needs shore when tons of storage, a fluid layout and room for 10 passengers combine to make a full-on floating island paradise? Optional filler cushions create a bow sun lounge, and the optional Flight Series Package provides everything adrenaline junkies crave. 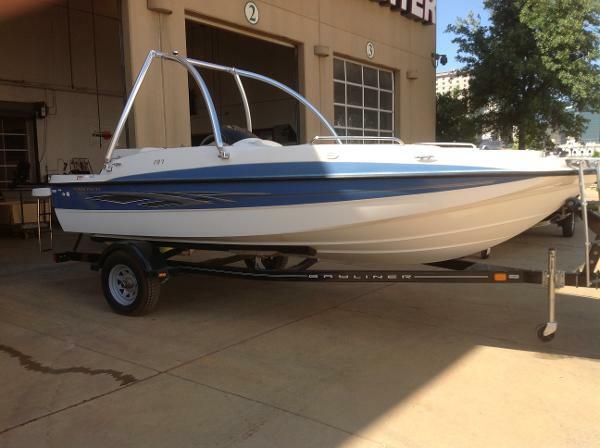 2012 Bayliner 197 Deck Boat Very nice "Own Owner" boat bought new in 2013. Lift kept, always flushed after each use. 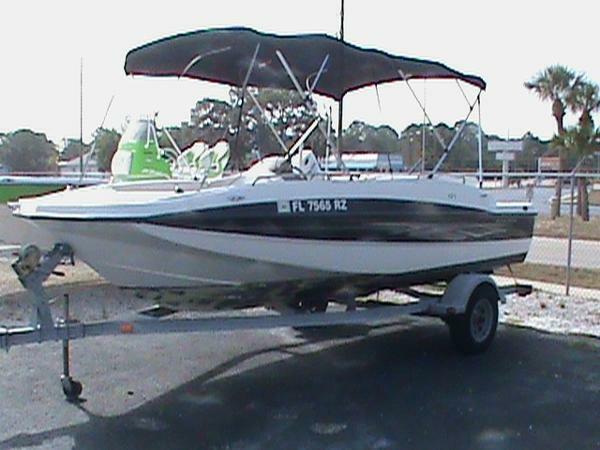 Has bimini top, Stereo, full snap on cover, twin swim ladders, big swim platform and excellent seating capacity. There is not a trailer, but easy to find one. When your crew's big and its ambitions even bigger, the 197 comes to the rescue.Who needs shore when tons of storage, a fluid layout and room for 10 passengers combine to make a full-on floating island paradise? Optional filler cushions create a bow sun lounge, and the optional Flight Series Package provides everything adrenaline junkies crave. When your crew's big and its ambitions even bigger, the 197 comes to the rescue.Who needs shore when tons of storage, a fluid layout and room for 10pas sengers combine to make a full-on floating island paradise? Optional filler cushions create a bow sun lounge, and the optional Flight Series Package provides everything adrenaline junkies crave. Key Features:The Deck Boat's unique layout allows the whole family to come onboard without sacrificing any power for watersports.Storage areas like the deep in-deck ski locker keep the cockpit free of clutter.The optional swim platform extension increases onboard space while offering a staging area for snorkeling and watersports.The bow converts from a seating area to a queen-size lounge when the optional filler cushions are in place.The durable snap-in carpet option makes the 197 easy to clean after long days on the water.